Did you know that around 90% of all homes are vented improperly? We offer venting solutions. From brand new homes to 100 year old homes improperly vented air space can be harmful. Mold forms in these areas that can cause significant health issues, so call today for a free in home inspection. Trapped heat and moisture can cause damage to your attic. Improperly ventilated attics (click here) can create excessive heat reaching temperatures in excess of 150 degrees and can create moisture issues such as wood rot, mildew, mold, paint blisters and ineffective (wet) insulation. 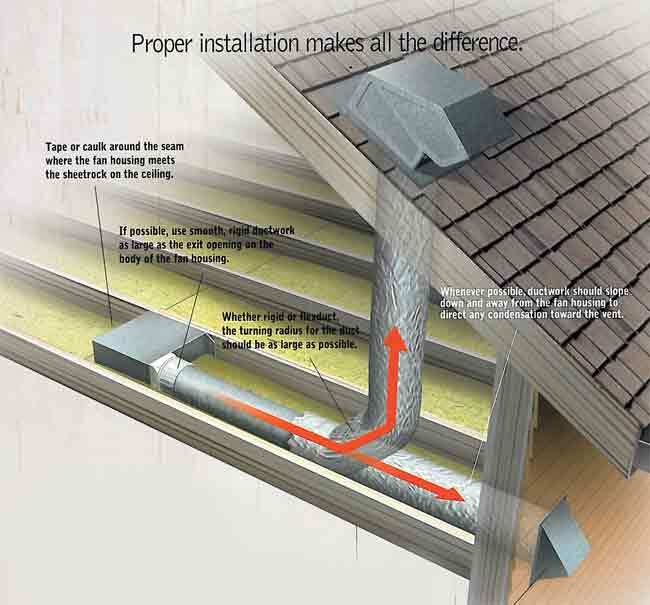 A properly ventilated attic space (click here) will help in reducing energy bills, help reduce damage causing ice buildup (click here), extend the life of shingles (click here), insulation, paint and other building products, but most importantly eliminate any health problems that may occur from mold. Our Venting Solutions Team is ready for your residential project today – please call us today 414.376.5568 or we can contact you (click here). Check out pictures of different venting systems.